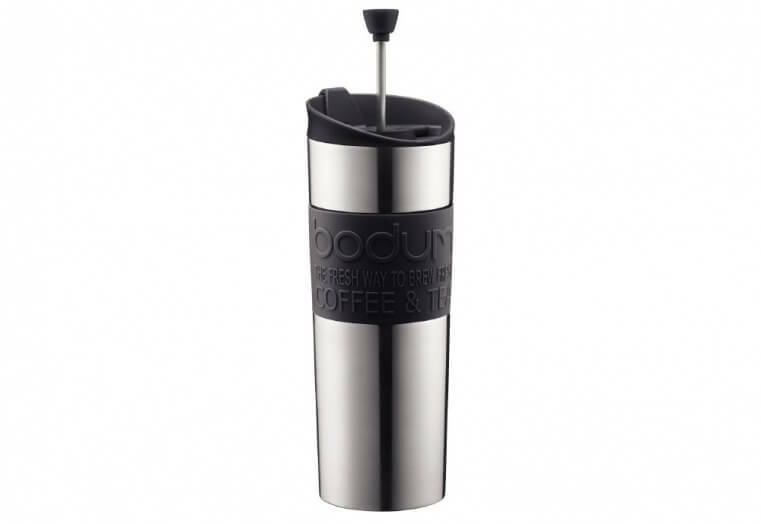 Bodum is famous for their high quality glass french presses. They have taken the success and knowledge of these home french presses and applied it to the Travel Press Mug. 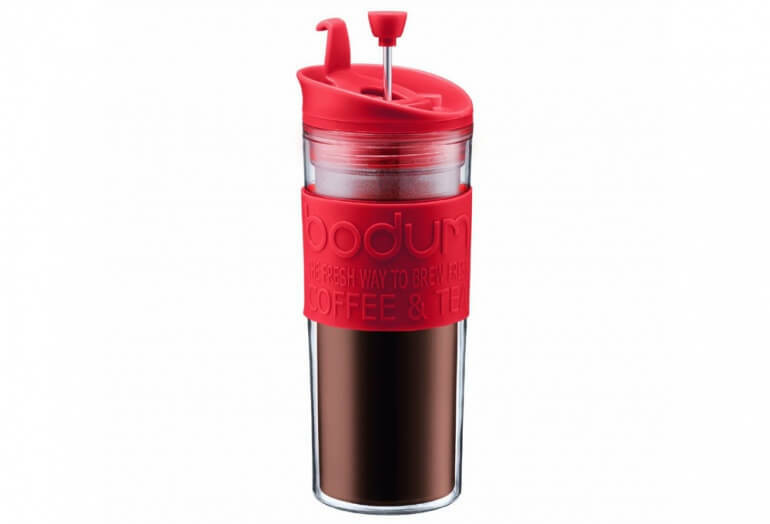 The mug appears as your standard insulated coffee mug, but also doubles as a self contained coffee press. You'll find the familiar plunger and metal screen attached to the travel lid. Brewing on the go is quick and easy. The mug is perfect for brewing coffee or tea. Add coffee grounds & hot water to the mug. Stir and steep for 3-5 minutes. Attach the lid and plunger. Press the plunger through your coffee or tea to the bottom of the cup. The Travel Press comes in both stainless and plastic versions. The plastic allows you to observe your brew while it is in progress. If you like the idea of a french press travel mug, we also suggest checking out the offering from Bobble. 16 bar travel espresso maker powered via cigarette lighter.